Never Let Go of a Dream! 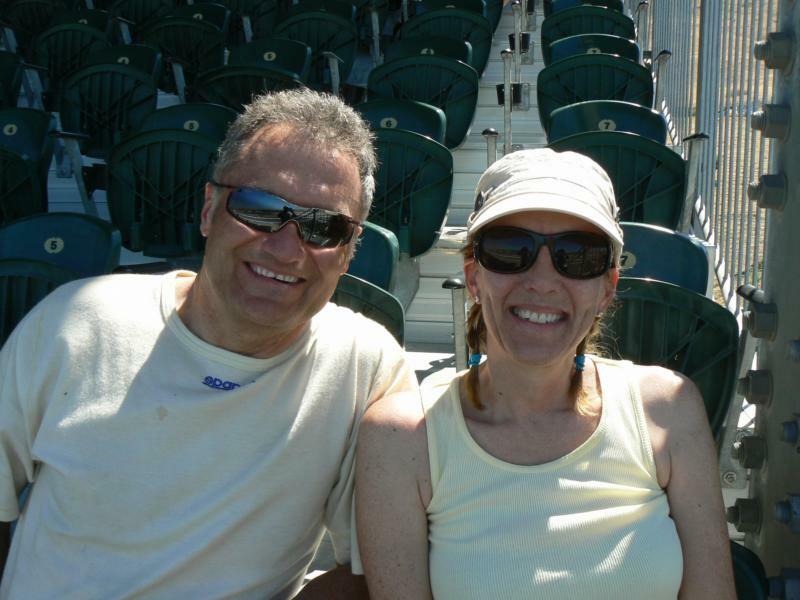 Last week, my good friends Diana Turnbloom and her husband Steve invited me to join them at Infineon Raceway, (formerly Sears Point) to watch Steve and his boys (Brian and Brad) race. I’ve never actually been to this race track even though I have passed by it many times in my travels to Santa Rosa, Napa, Sonoma etc. I decided to take them up on the offer since this may be as close as I’d ever get to achieving that one small and almost forgotten childhood dream. Getting to go down in the pit’s and be part of the behind the scenes action sounded exciting not to mention that getting to see some old friends would be awesome, so I went. Diana and Steve are very good friends I met in this business many years ago, and are also active here on ActiveRain. When they invited me out, I don’t think they knew or realized the significance this day would have on me. It was like a conection with an inner child’s dream that had been couped up inside me all these years. Racing down a long straight-away, sliding into those tire protected corners, and crossing that line to a waving checkered flag! I could only imagine (in my dreams) what that would really feel like. The thrill, the excitement, the fear, the danger, and the challenge of it all. Then there’s the potential of a victory lap!?! Oh what I wouldn’t give….. This past Sunday, the stars and planets must have aligned perfectly because this was the day that one of my dreams would become a reality. When I arrived at the track, Steve and Diana’s son Brad, escorted me over to the area where passes are given to the guests and racers. 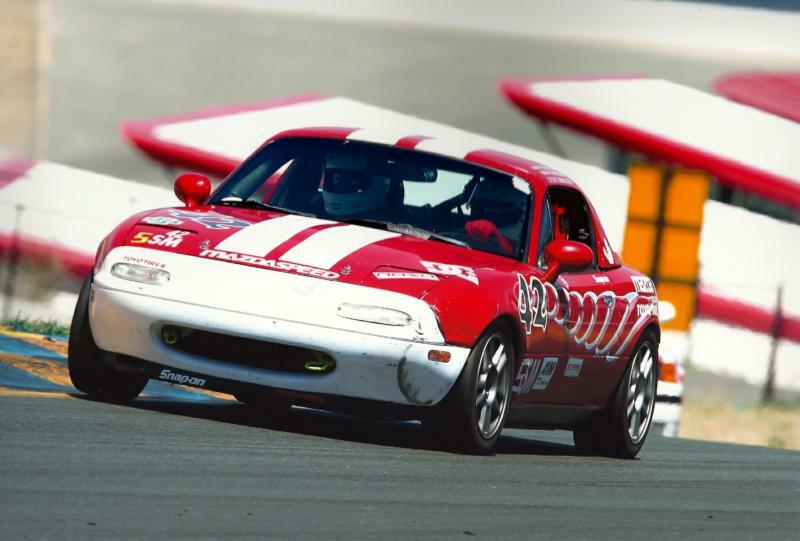 I signed a form releasing liability in the case of my accidental death, and the next thing I know, I’m putting on a helmet, climbing into the passenger seat of a Spec Miata race-car, fastening down a 5-point seat belt restraint, and realizing that I am about to head out onto a “live” race track where speed, thrills, risk, danger, and dreams become reality! OMG!! I can’t put into words what this experience was like. I’m still speechless and in shock that this even happened yesterday. More importantly, I am forever grateful to my dearest friends Steve and Diana and their family for inviting me out and making one of my life dreams come true. Thanks you guys so much. Being out on that track, literally flying around those corners at top speeds and feeling those g-forces, was one of the most exhilarating experiences of my life and it was just as I had dreamed it would be as a young child. AWESOME!!!! Never Let Go of A Dream – This Race WAS A Victory! !